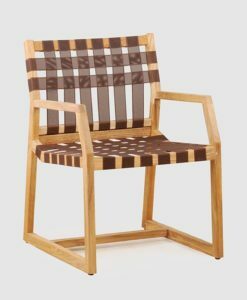 This great dining chair comes in different batyline meshes, is the perfect balance between teak and comfort no need for cushions. 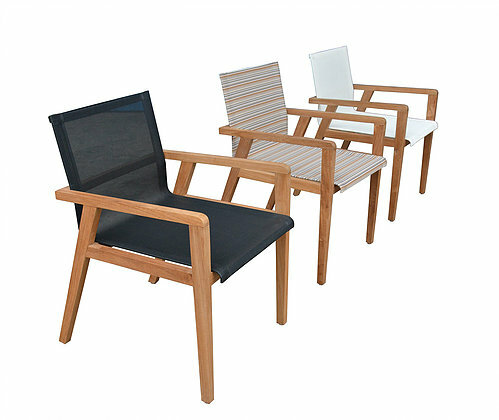 Batyline available in white, black or stripes. 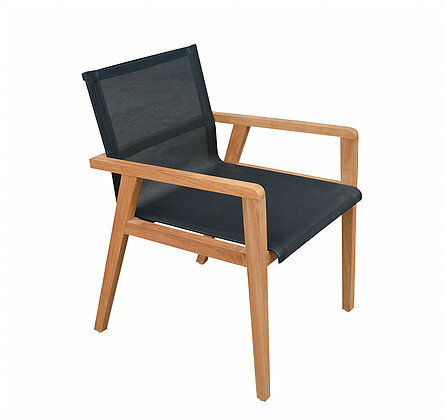 Modern teak batyline textile dining chair makes you feel apart of the VIP club. 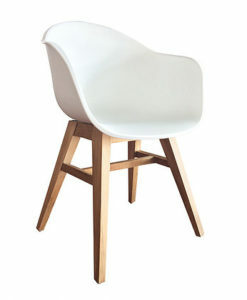 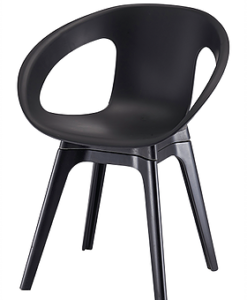 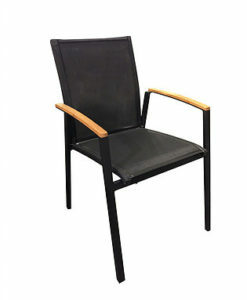 Durability, style, quality and sleekness are all attributes of this magnificent dining chair. 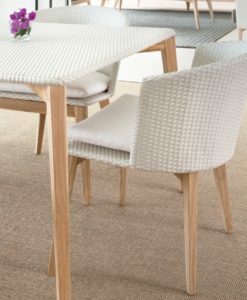 The modern teak batyline textile dining chair underscores style, elegance and comfortability all in one. 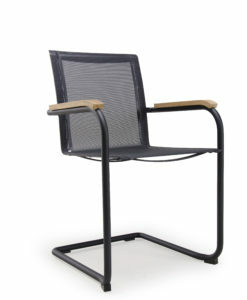 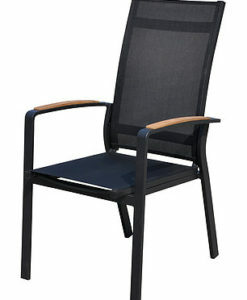 Comfortable batyline mesh and durable A-Grade teak dining chair perfect for any outdoor dining room. 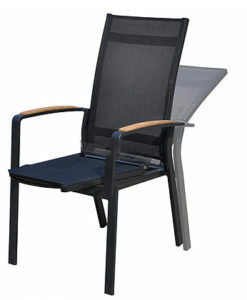 Also available in white mesh, and stripe. 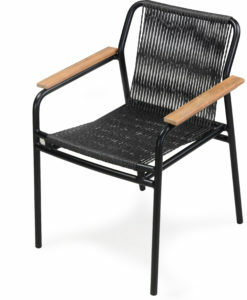 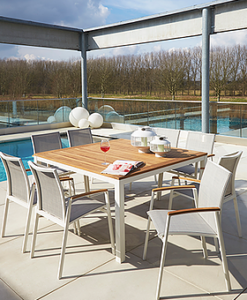 In addition, this exclusive outdoor dining chair’s frame is made from 100% teak. 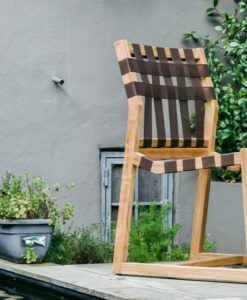 Teak is a strong wood which has the quality to withstand a great deal of wear and tear, as well as different temperatures and weather, even untreated. 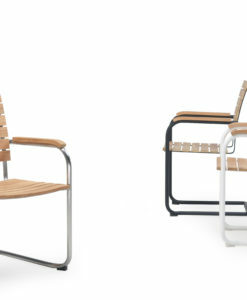 However, the best part of this material is its beauty. 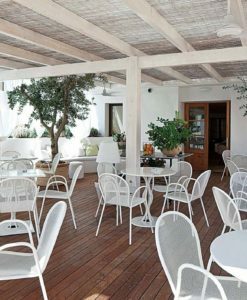 The natural, rich color, texture and quality of the wood are simply gorgeous. 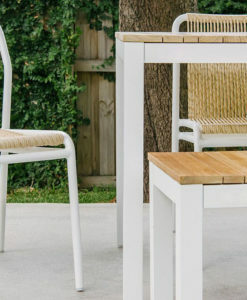 The teak frame give these outdoor dining chairs an ultra-modern but warm look. 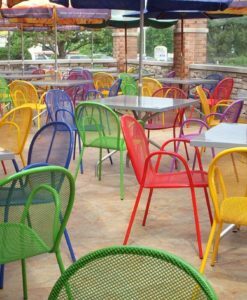 Additionally, it offers an excellent contemporary outdoor dining ambiance.